Melbourne Airport (MEL) Click here for more information about the airport including local transport options. 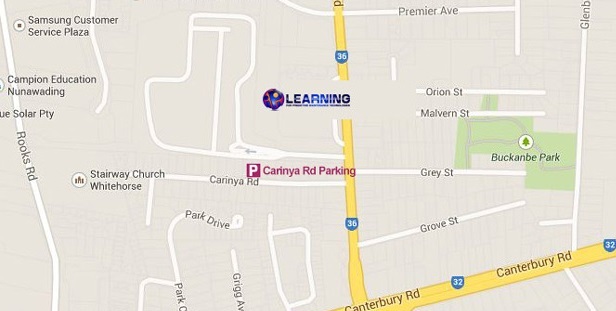 Please Note: All day parking is available nearby the Melbourne Infrared Training Centre training in Carinya Road (see map below). Please observe any signposted restrictions. Please respect our neighbours by keeping their allocated parking bays and driveways clear at all times. There are a small number of IPI Learning parking spaces in front of the building which are for students with limited mobility only.